"Perfection of Form, Color and Light"
Both artists reference the ancient past. 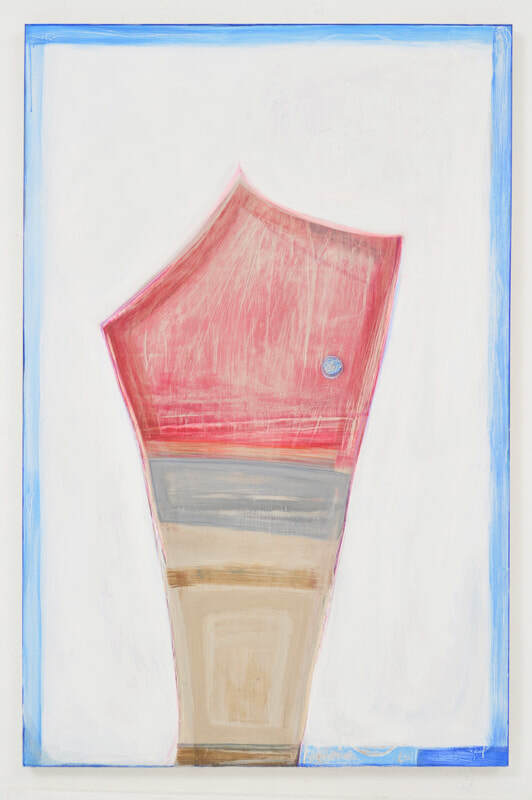 Ms. Hackett does so physically by using diatomaceous earth that consists of fossilized algae as the ground, so to speak, on which she builds the geometric forms that occupy her paintings. Ms. Mendelson draws inspiration, especially from the ancient glass of the Euphrates River valley, for the sculptures she fashions from the plastic detritus of today’s society, re-contextualizing the modern into the beauty of the ancient, juxtaposing the eternal component of plastic into timeless beauty. Theresa Hackett’s work, as well, re-contextualizes the geometric forms that she works with and juxtaposes against each other to create a dialogue of form. The map-like quality of much of her work references the ubiquitous visual language that envelopes contemporary society. The certainty is the fact that you will not only enjoy this exhibition but will be stimulated by the conversation that the work of each artist engages with the other. The show runs until October 21 with an opening reception for the artists on Wednesday, September 13, from 6 to 8 pm.